Look what the printer sent! All purty, with little pawprints here and there, to go with Mr. Plotting Otter. Every one of these copies is spoken for, with the giveaways won and the presentation copies I’ve promised. I do love Dar ALbert’s artwork. She completely captured Lon’s goodhearted mischief and Corey’s concern. Since Amazon decided to put these on sale for three dollars off the regular price, this might be a very good time to grab one of your own. 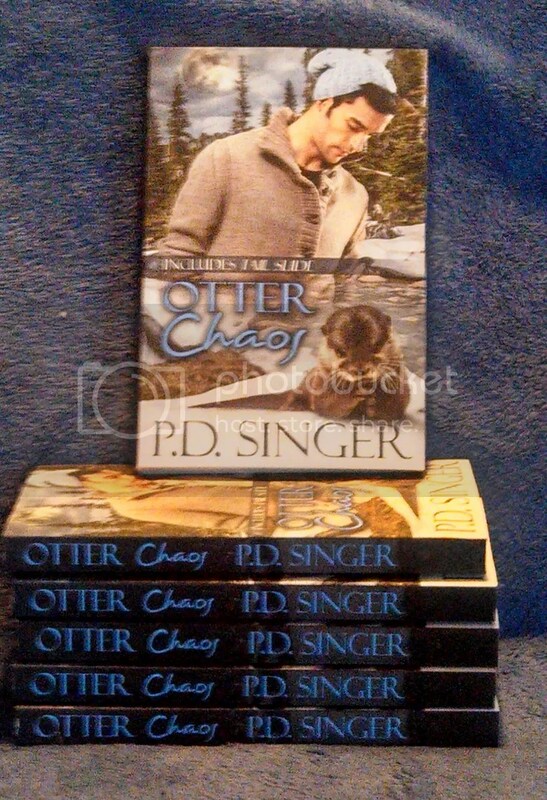 This entry was posted in Writing and tagged Otter Chaos, paperback, print, sale. Bookmark the permalink.